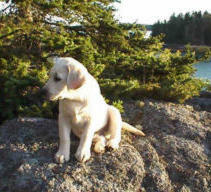 Two Dog Press is an independent publisher and online "dog store" based on the coast of Maine. Everything you need to know about us can probably be summed up in three words: we love dogs. We're the type of people who carry pictures of our dogs everywhere. We don't own a stitch of clothing or piece of furniture that doesn't have dog hair on it. We always carry plastic bags filled with treats in our pockets. 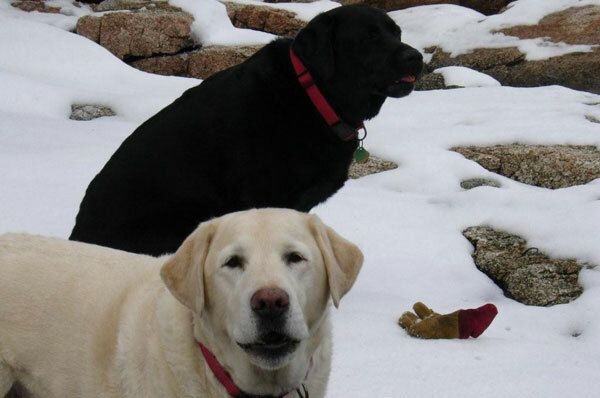 And we plan our daily schedules and life in general around our Labrador Retrievers, Harry and Mitchell -- who are always eager to remind us when they want to go out and play. Given our name and our affinity for four-legged kids, it shouldn't be too surprising that we got our start publishing books about dogs. Although our publishing ventures are currently on hold, we believe the works we have produced are fun, frisky, elegant and memorable. We also offer a selection of gifts featuring the wonderful dog art of our favorite artists as well as a few special items from other publishers and manufacturers. Over the past few years, we've compiled an online Bookshelf featuring our favorite dog books--many personally drooled on by our dogs. Two Dog Press is an advocate of responsible pet ownership. We support charities, shelters, and rescue organizations that benefit dogs and educate pet owners. 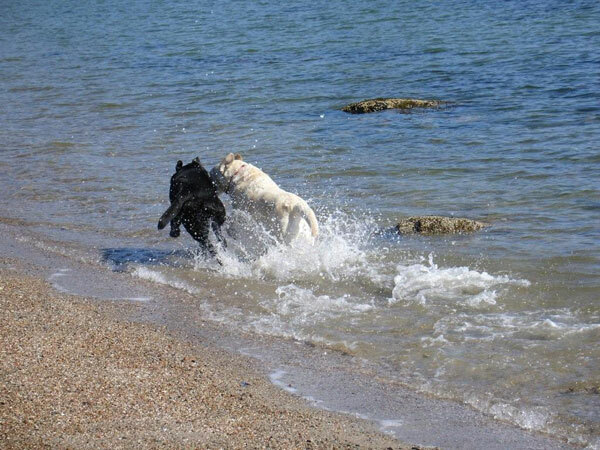 And we strive to publish information on our web site and in our books that educates people about caring for their dogs. Because, as Trainer Barbara Woodhouse once noted, "There are no bad dogs." Organizations that we have made monetary donations over the past few years include: the ASPCA, The Company of Animals Fund, Animal Rescue League, The Ark, Bangor Humane Society, Seattle Purebred Dog Rescue, Coastal Humane Society, LABMED, New Life Assistance Dogs, Guide Dog Foundation for the Blind, The Delta Society, Massachusetts SPCA, Associated Humane Societies, PAWS, and the CILRA. 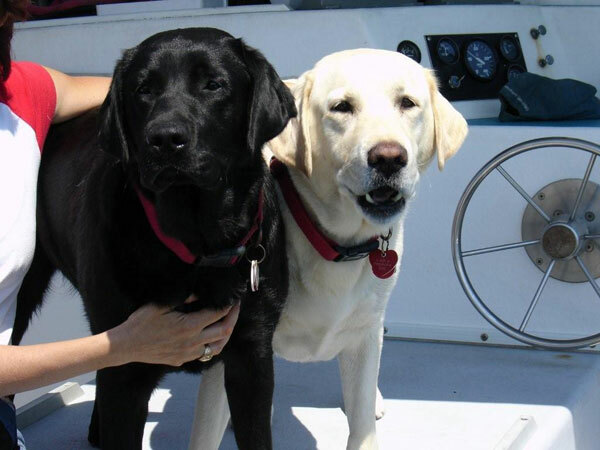 Through our 2001 Books for Good Paws program, Two Dog Press donated more than 2500 books to 48 different shelters, rescue organizations, and other non-profits nationwide to support their fundraising efforts. Woof! We want to thank our customers for enabling us to give so generously to these worthy causes. 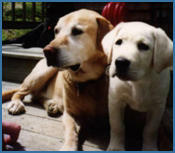 We often donate books and promotional items to shelters, clubs, and rescue organizations to aid in fundraising efforts. 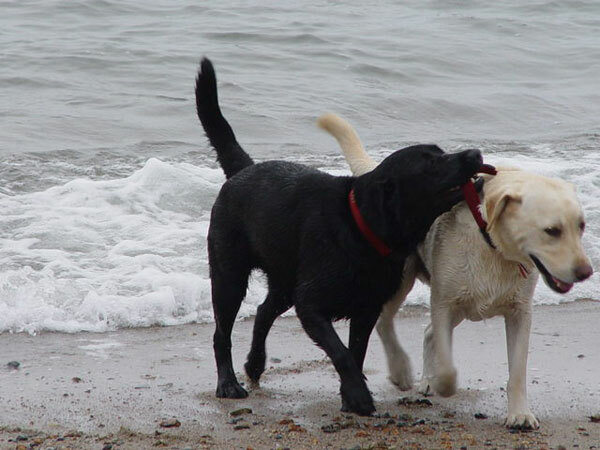 If you're interested in seeing whether we would be willing to help your dog cause, Speak! to us. If you'd like to carry our books, cards, or prints in your store, we offer standard wholesale rates. Speak! and we'll forward you a price list. If some of the other products that we carry strike your fancy, we can put you in touch with the appropriate folks to get more information. Two Dog Press is not accepting unsolicited submissions at this time. 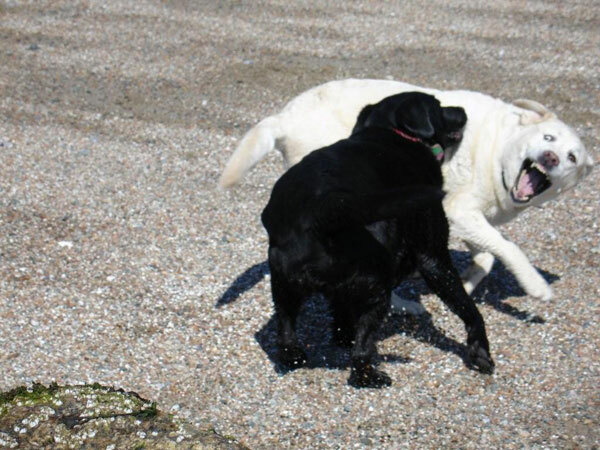 The two dogs of Two Dog Press are Harry and Mitchell. 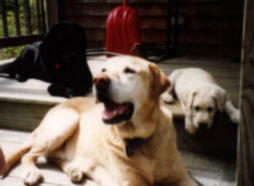 Harry was trained and bossed around by our founding dogs, L. "Mac" MacPherson, who left us in 2002, but is still very much with us in spirit, and Maynard, who we lost to cancer in 2003. Harry and Mitchell are not much help in the office, but they enjoy supervising the shipping process and like to have their picture taken. They also frequently voice opinions about UPS and FedEx drivers who don't carry dog biscuits. We like to think that behind every great dog-related company is a great dog. 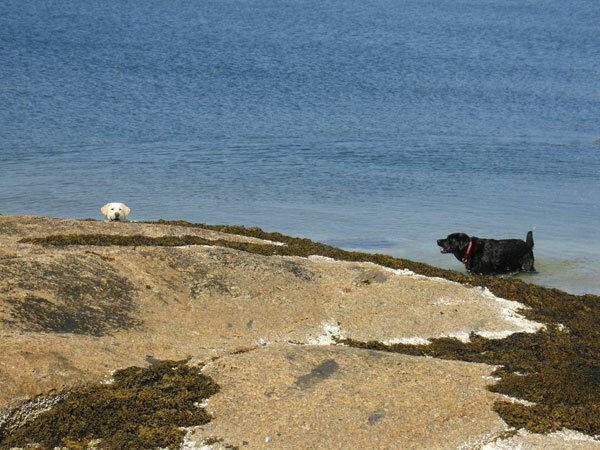 Mac's entrepreneurial puppy adventures led him down many paths, some more rewarding than others, but contributing to Two Dog Press was among his most significant accomplishments. 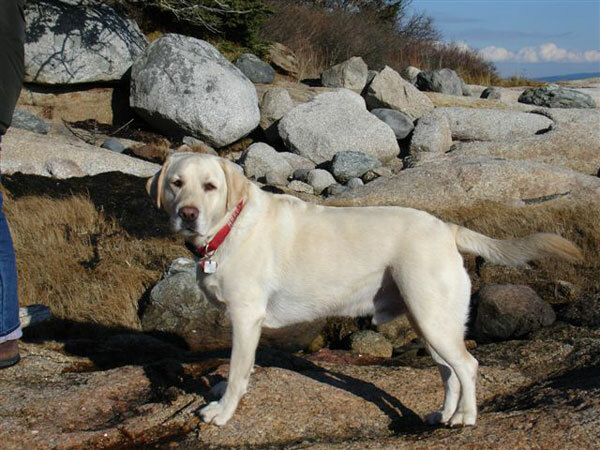 A handsome, always hungry yellow lab, Mac was particularly pleased that part of his job at Two Dog Press was to test dog food recipes (a responsibility that Harry has happily inherited). 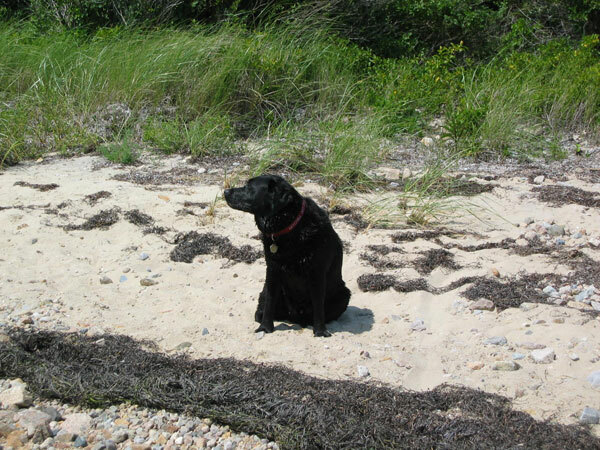 Mac loved poetry, walks on the beach, and peanut butter. 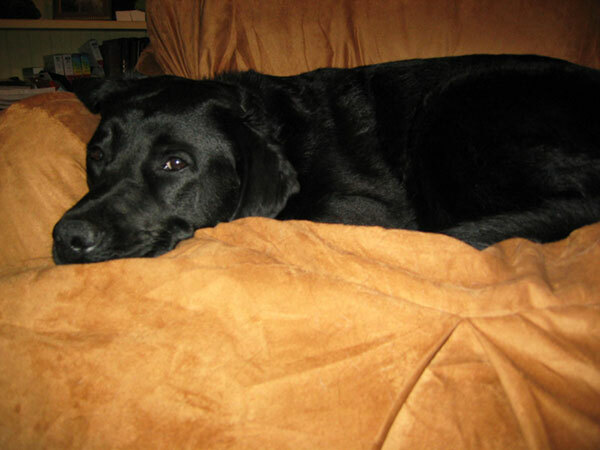 Maynard Minus Music, a charming, vivacious black lab, was always busy with special projects. He was particularly obsessed with artistic endeavors involving rocks -- moving them from the shore to strategic locations in the woods. 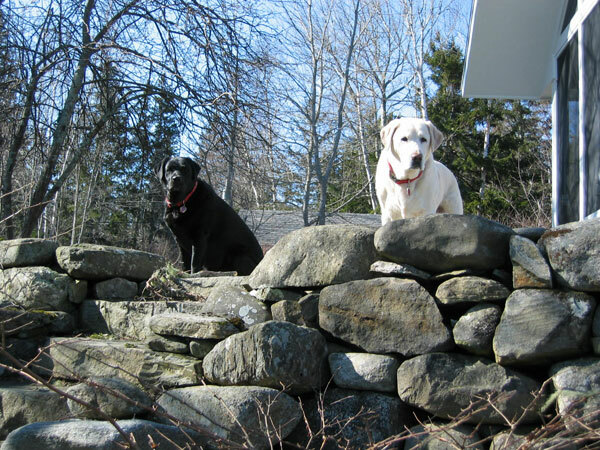 (We have a small stone wall created from rocks he retrieved from Blue Hill Bay. It's a wonderful memorial to a special dog.) 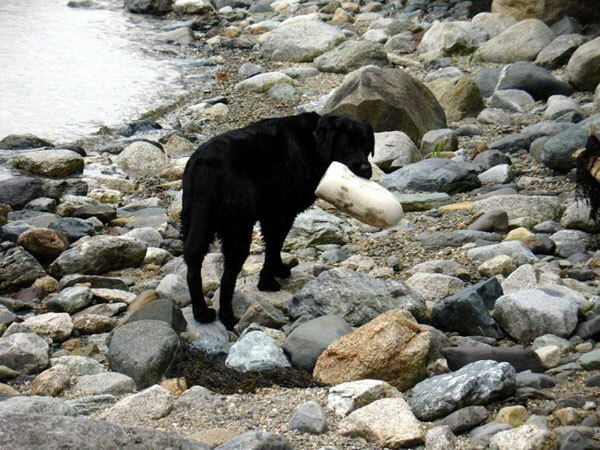 In his prime, Maynard was an outstanding fulfillment manager because, in his mind, the process of picking and packing books was remarkably similar to retrieving rocks. 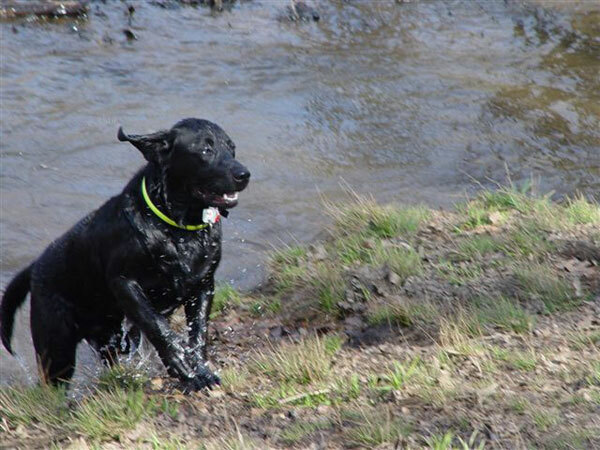 Maynard loved swimming, stuffed animals, and beef chews. He almost met his namesake, trumpet great Maynard Ferguson, in March 1997, when the jazz legend's tour took him to Maine. But the little lab couldn't stay awake long enough. Harry is a lot bigger than he was in these puppy photos, but he's still so cute. 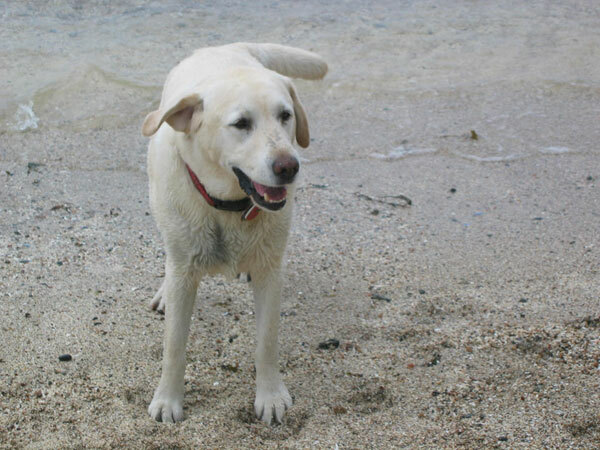 A very distinctive, almost white yellow lab, Harry loves snuggling, car trips to town, and Goodie Ships filled with cheese. He is our self-appointed director of quality assurance and carefully inspects every Two Dog package before it ships. 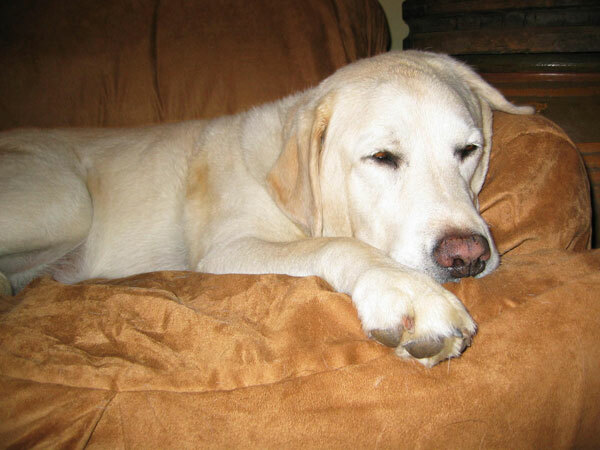 So if you find a cream-colored dog hair or two in your shipment, you know Harry's given it his paw print of approval. Harry is also a registered therapy dog. 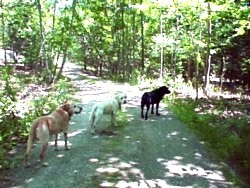 Mitchell joined our pack shortly after Maynard died. They had a chance to meet for a few minutes at the kennel where we were interviewing puppies, and Maynard must have somehow imprinted the 7-week old Mitchell with much of his spirit. Mitchell is very much his own dog, but there are so many times when he reminds us of Maynard in his youth....Mitchell is currently our Director of Spirit and a therapy dog-in-training. Mitchell loves rolling in snow, rolling in sand, rolling in grass, belly rubs, and meat. Mac is always happy to meet new dogs! Harry wonders why Two Dog Press has three dogs. Maynard prefers to spend his breaks outside. Harry learns about the law of gravity from a master. Harry poses for his first corporate PR photo. He wants to look his best. During presentations, Mac does all the talking. Maynard and Harry doze. Time to go for a walk. Bye!